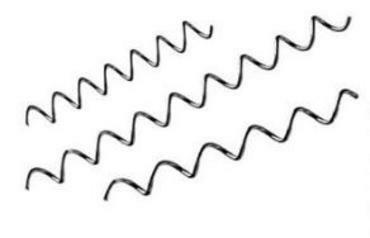 has a large selection of gabion accessories including spirals, stiffeners, hog rings and tools, and tie wire in a variety of gauge and finishes. Whether you need parts to DIY your own gabion or have an idea that requires a little more customization we should have the accessories you need to bring your idea to life. The below products are our standard items but we can also offer additional sizes and finishes including stainless steel and raw steel accessories. We specialize in supplying a variety of gabion materials & accessories for your residential or commercial needs. 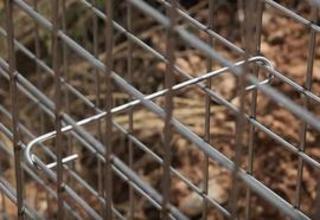 Purchase add-ons for our gabions or for DIY assembly. Give us a call at 866-391-6295 and our team will help get your project started! Many of our accessories are online at BlueStoneSupply.com or you can add them to your cart directly on this page. 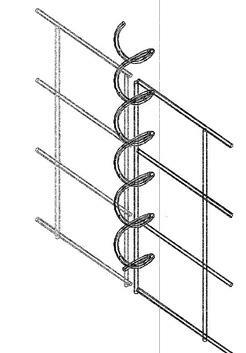 THESE SPIRAL BINDERS ARE EASY TO INSTALL AND ARE THE MOST COMMON MEANS OF MENDING GABION CORNERS AND JOINING BASKET TO BASKET. 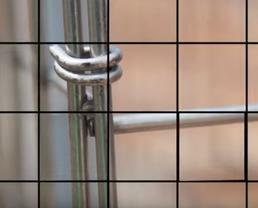 AVAILABLE IN 9 GA GALVANIZED STEEL - PLAIN "RUSTY" STEEL OR GALV & PVC COATED IN LENGTHS OF 18" or 36"
OUR SPIRALS SHIP EITHER BY UPS OR FEDEX GROUND AND SHIPPING IS INCLUDED IN THE CONTINENTAL US. THEY COME PACKED IN BUNDLES OF 50 EA AND SHIPPED VIA UPS OR FEDEX GROUND AND SHIPPING IN THE CONTINENTAL US IS INCLUDED IN THE PRICE. 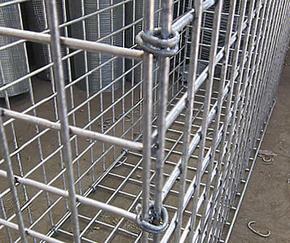 OUR "C" STYLE GABION HOG RINGS ARE CONSTRUCTED OF 11 GA GALVANIZED HI-TENSILE STEEL OR TYPE 304 STAINLESS STEEL. THEY COME 40 RINGS PER STRIP AND 1,600 RINGS PER BOX READY TO LOAD INTO THE PNEUMATIC CLOSING GUN OR MANUAL TOOL . 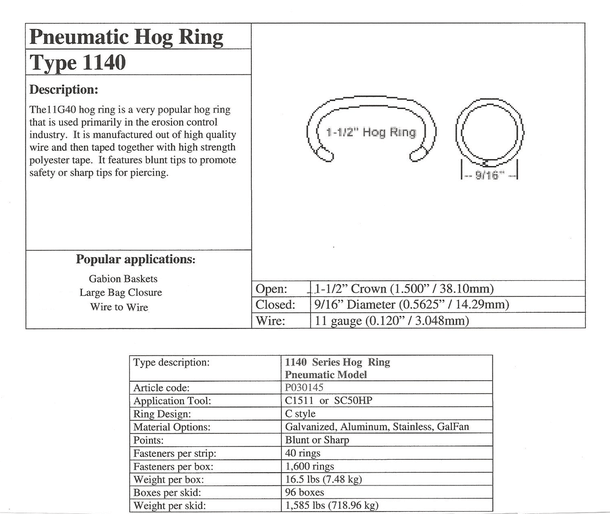 OUR HOG RINGS SHIP OUT VIA UPS OR FEDEX GROUND AND SHIPPING IN THE CONTINENTAL US IS INCLUDED IN THE PRICE. OUR GABION HOG RING GUNS SHIP VIA UPS OR FEDEX GROUND AND SHIPPING IN THE CONTINENTAL US IS INCLUDED IN THE PRICE. 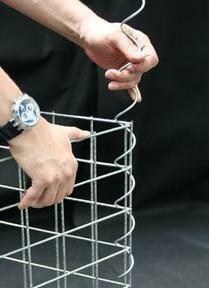 OUR LACING / TIE WIRE IS AVAILABLE IN 13.5 GA GALVANIZED STEEL AND 13.5 GA GALVANIZED STEEL WITH PVC COATING.